Bamboo flooring is a great choice for most rooms in your home, even a kitchen. It is versatile, hard wearing, durable and sustainable. 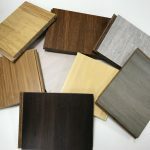 There are different types of bamboo flooring, so you are best to make sure that you choose the correct type that can deal with a kitchen atmosphere. 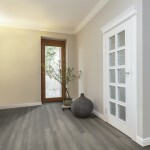 This entry was posted in bamboo, Bamboo Floors and tagged sustainable kitchen floor, durable kitchen floor, kitchen floor, bamboo flooring kitchen, strand woven bamboo on April 17, 2019 by chris elliott. 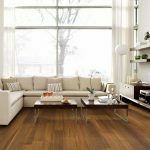 This entry was posted in Bamboo Floors and tagged parquet block bamboo, bamboo flooring samples, samples of bamboo, samples of flooring, strand woven bamboo on March 27, 2019 by chris elliott. 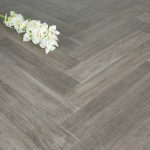 This entry was posted in Bamboo Flooring Company News, Bamboo Floors and tagged bamboo parquet flooring, brown parquet block, grey parquet block, new parquet block bamboo, New bamboo flooring, strand woven bamboo on February 13, 2019 by chris elliott. 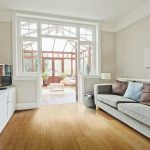 This entry was posted in bamboo, Bamboo Flooring Company News and tagged hardwearing bamboo, white floor, white bamboo floor, ivory white bamboo, durable flooring, sustainable flooring, strand woven bamboo on September 18, 2018 by chris elliott. Solid or Engineered Strand Woven Bamboo Flooring? Bamboo flooring is a great, eco-friendly and hard wearing alternative to hardwood flooring. Whether to choose solid or engineered bamboo may be a question you are thinking about. Both solid and engineered strand woven bamboo flooring are durable, stable and look the same. One big advantage of engineered strand woven flooring is that the planks can be made much wider. 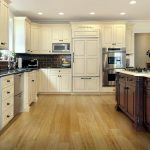 Here is everything you need to know when deciding if solid or engineered bamboo is correct for you. This entry was posted in Bamboo Floors and tagged solid or engineered, solid strand woven, engineered strand woven, strand woven bamboo on August 31, 2018 by chris elliott. Bamboo Flooring comes in three main construction types; horizontal, vertical and strand woven. The same kind of bamboo is used for each construction type, but just in a different way. Furthermore, the different bamboo flooring construction types create slightly different looking flooring with different strengths. 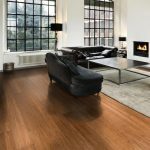 This entry was posted in Bamboo Floors and tagged bamboo floor constructions, Solid bamboo flooring, strand woven bamboo, horizontal bamboo, vertical bamboo on July 17, 2018 by chris elliott.